New playgrounds and what’s coming! 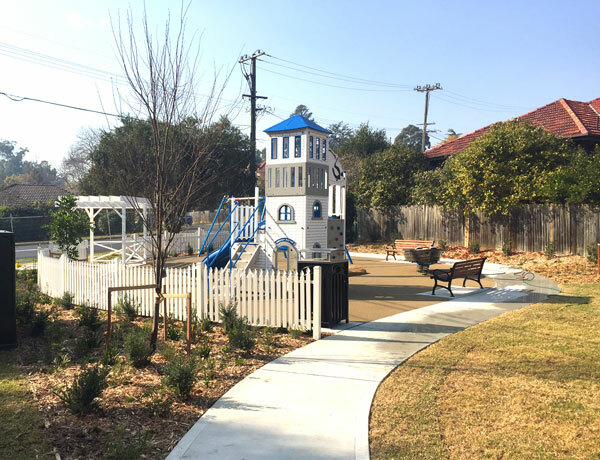 We love a good park and, like other local parents, get a little excited when a new one opens! 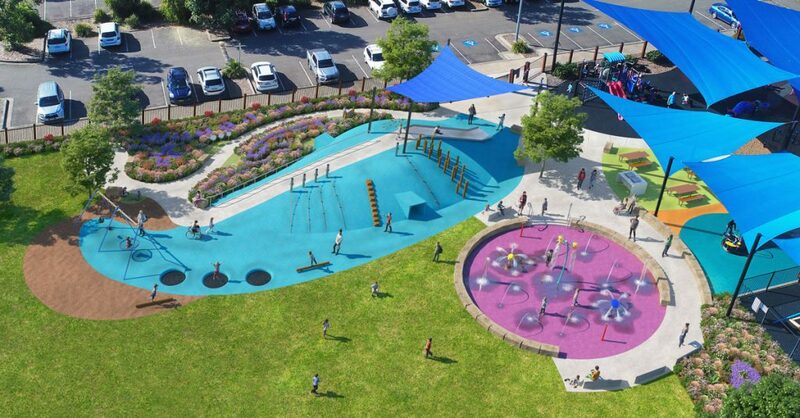 Here’s a list of local playgrounds that are new or have been refurbished in the last year, plus a sneak peek at what’s to come. 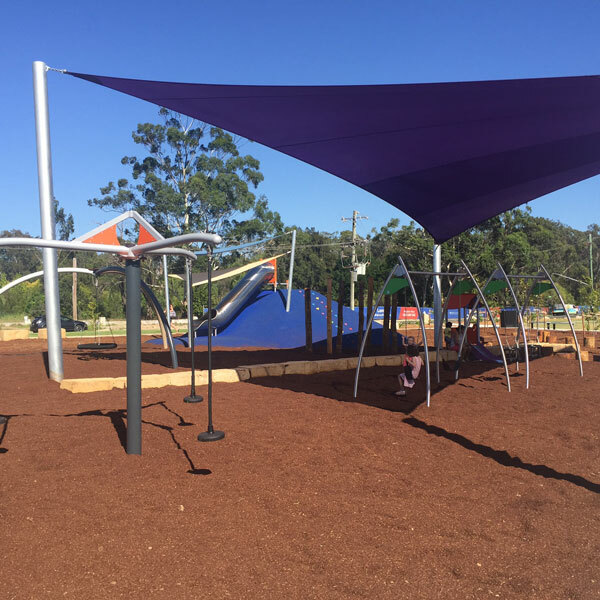 Unfortunately aside from Bernie Mullane in Kellyville none of the new playgrounds tick ALL the boxes – toilets, shade, fenced, close to refreshments – but there’s some great equipment for kids to explore. Stage 1 of Livvi’s Playground is now open! You can find out more here. Stage 1 and 2 of this playground has been complete with the opening of a kids learn-to-ride bike track and a little playground next to it. 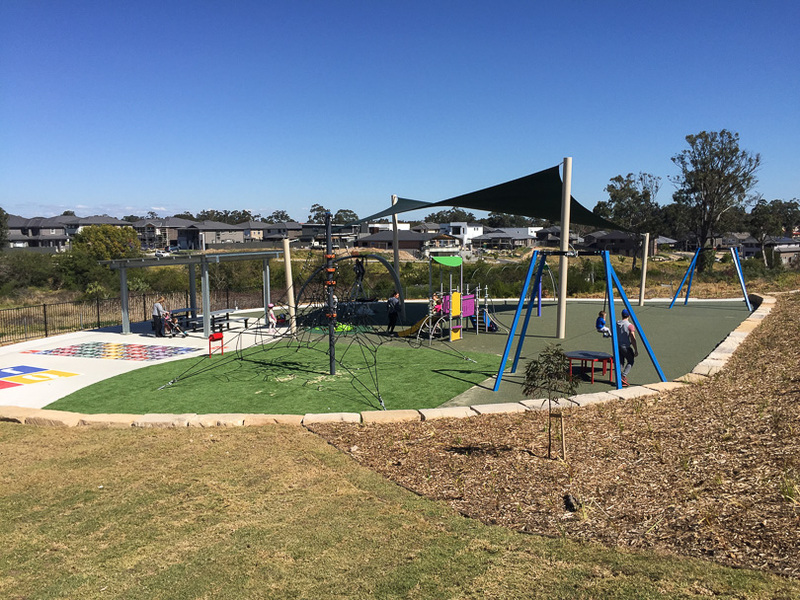 The new playground at Oxlade Reserve North Kellyville is now open. 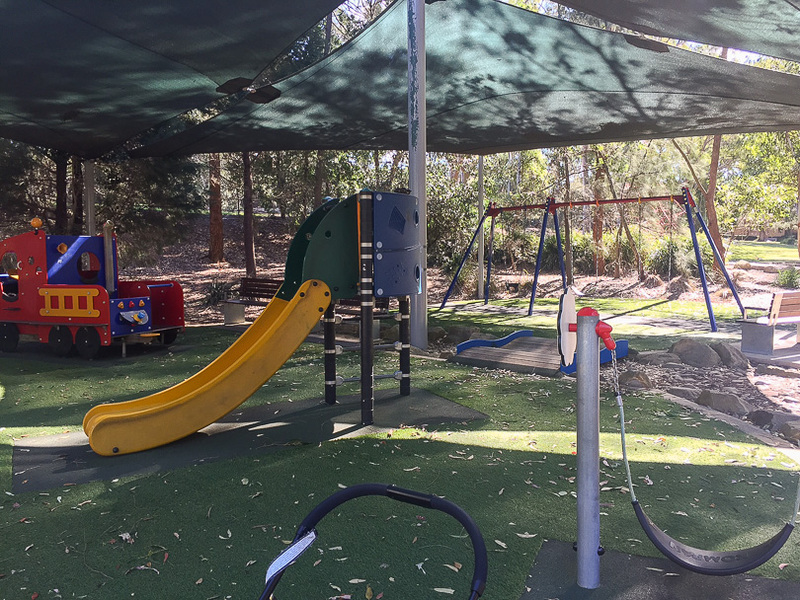 There is a junior play unit and swings, a flying fox, climbing net and handball courts. It is also shaded. There looks to be a good lot of green area surrounding it too, perfect for kicking a footy or just running wild! 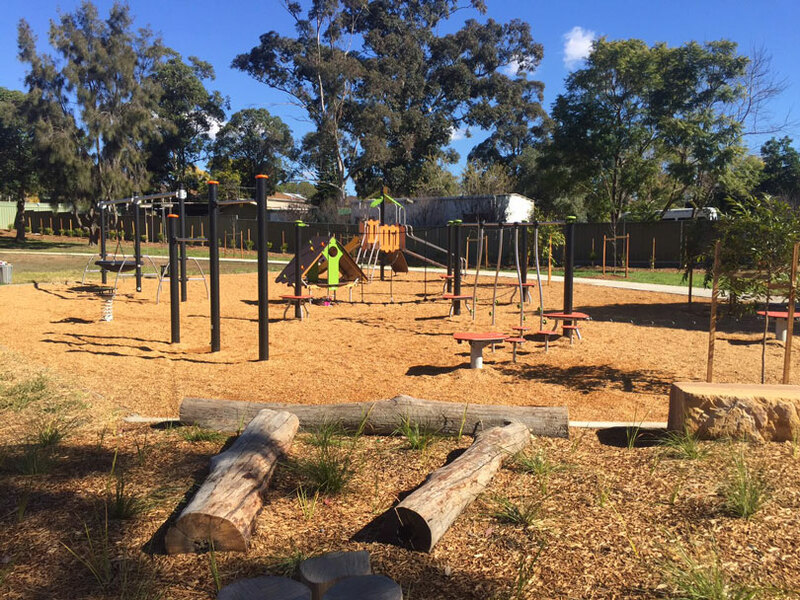 There is a broader plan for the surrounding area but for now the playground is good to go! This playground opened earlier in 2017. There’s plenty to do here with swings, little play equipment and a slide for youngsters, a mound up to a slippery dip and a tee pee for imaginary play. There’s lots of green space and a basketball court. Some of the equipment is shaded but there are no toilets. The mulch used as the base isn’t great for crawlers and mums that like to wear sandals! This one is pretty good! Nestled in a large open space there’s play equipment, swings (including nest swings), a little merry-go-round, monkey bars and plenty of green space to run around. It’s shaded by trees, there are no toilets and it’s not fenced (but set back enough from the road). And again, there’s the bark mulch! This park has a shaded picnic area and two play areas for different ages, a climbing rope structure and swings. 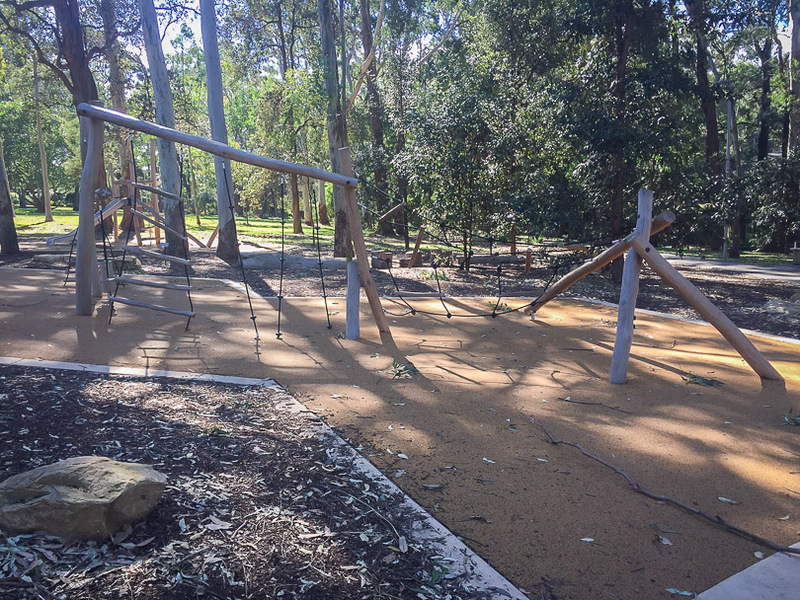 This new little playground sits at the top of a block of land in West Pennant Hills. 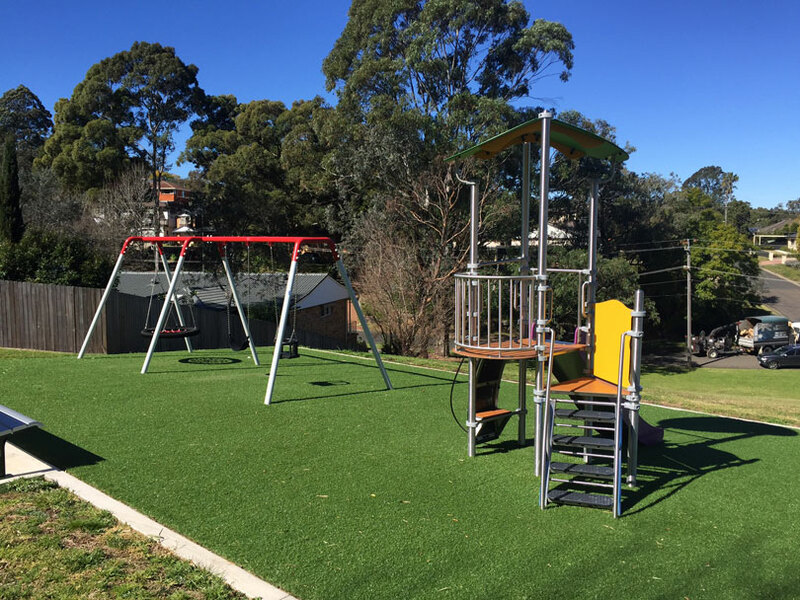 It’s built on faux grass which is great for little ones. While it’s not fenced it’s a long way from the road but beware…….if you have a runner the slope leading to the playground is decent, so if they start to run they may pick up some speed! It’s not shaded and has no toilets. 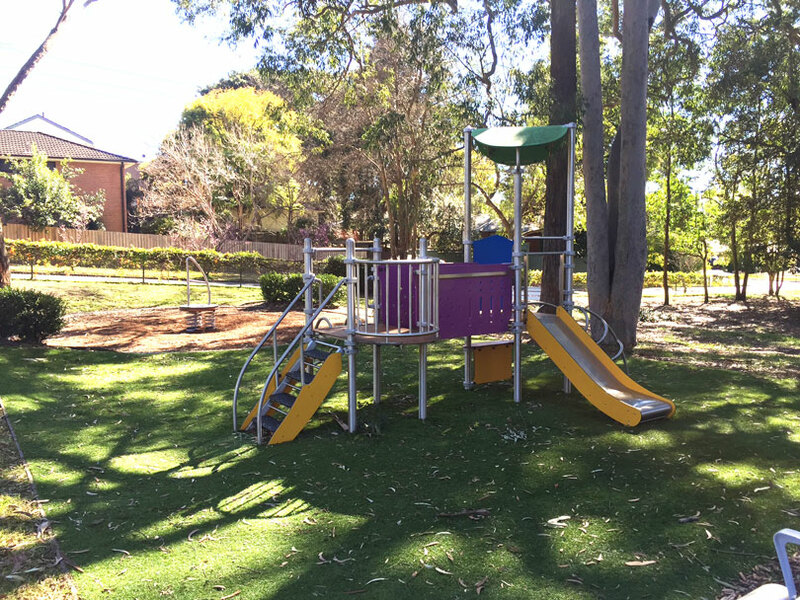 This cute little playground is set on faux grass and shaded by trees. In addition to the little play equipment, there’s a nest swing. There are no toilets and despite looks it isn’t fenced. This one is brand new, only opening in August 2017. It contains swings, a boat for imaginary play and a lighthouse play structure. It’s also built on a rubber flooring which is great for crawlers and little ones! There are no toilets and it’s partially fenced. This one is super cute! With a mini castle replica, there’s plenty to keep kids occupied. It isn’t fenced but is a long way from the road and there are toilets, swings and paths for scooters! 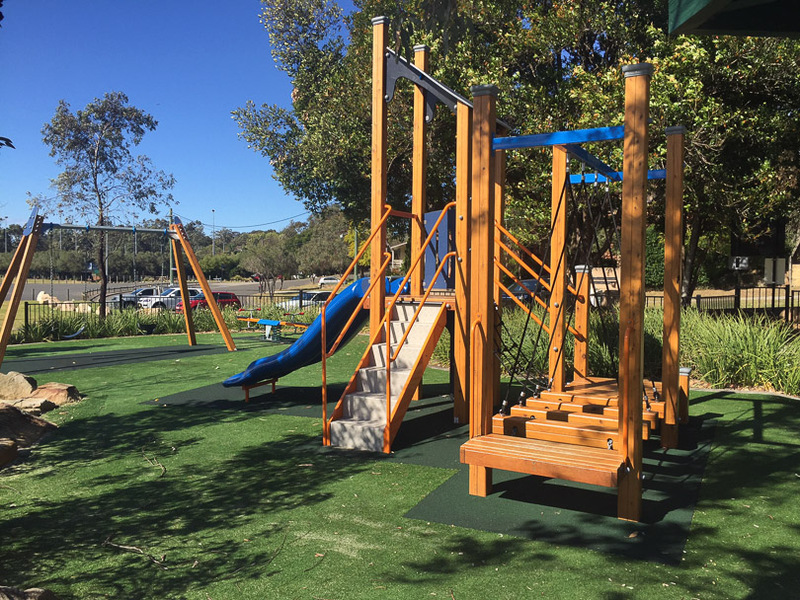 This cute new playground is great for little ones, with swings, a see saw and a play structure. There’s also a little path around it which is great for scooters! While there aren’t shade sails, the trees around it do provide some coverage. The only thing missing is a cafe……but thankfully a new one is opening up across the road called The Bells Road Social and based on the owners’ other cafe, it will be a REALLY good one! Stay tuned. This is a cute little playground located on the edge of the Barton Park playing fields. At first glance, it looks like it is one of the (rare) new fenced playgrounds, but alas it’s only partially fenced. Good news is, there’s no pesky bark flooring and there are toilets nearby. This one is a cracker! 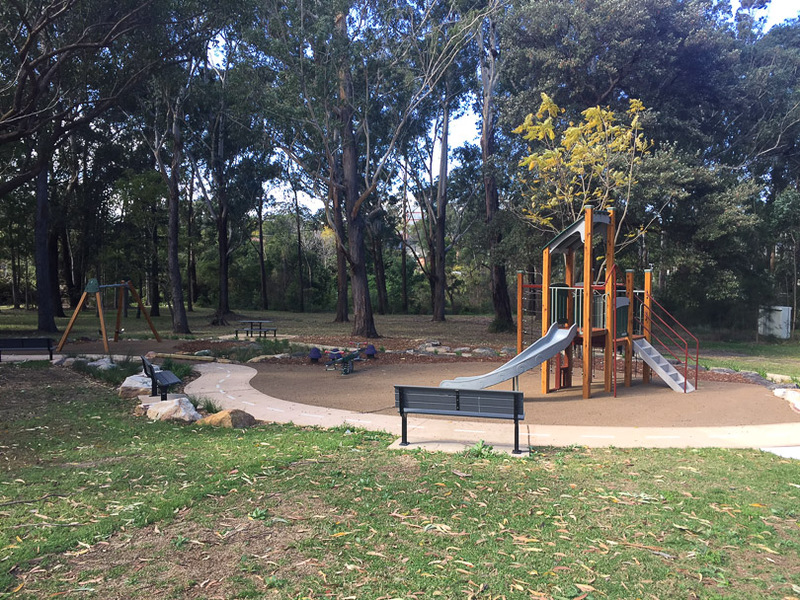 Located in the middle of Boronia Park, this playground has areas for older kids and younger kids, plenty of green space, BBQs, shade, toilets and is not far from coffee! Brand new, the equipment at this playground in the Hills is fabulous! 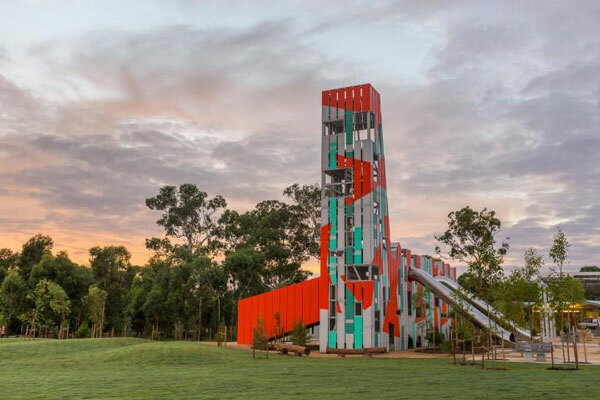 A giant tree house, in-ground trampolines and a flying fox are all part of an award-winning playground. Unfortunately there is no shade and no toilets. This one is due to open any day and it looks cool! In addition to the play equipment it has BBQs and toilets and some shade too! Find out more here. Another great (brand new) playground in Kings Langley. If your little one likes to be a ninja warrior there is plenty for them to make a course out of! 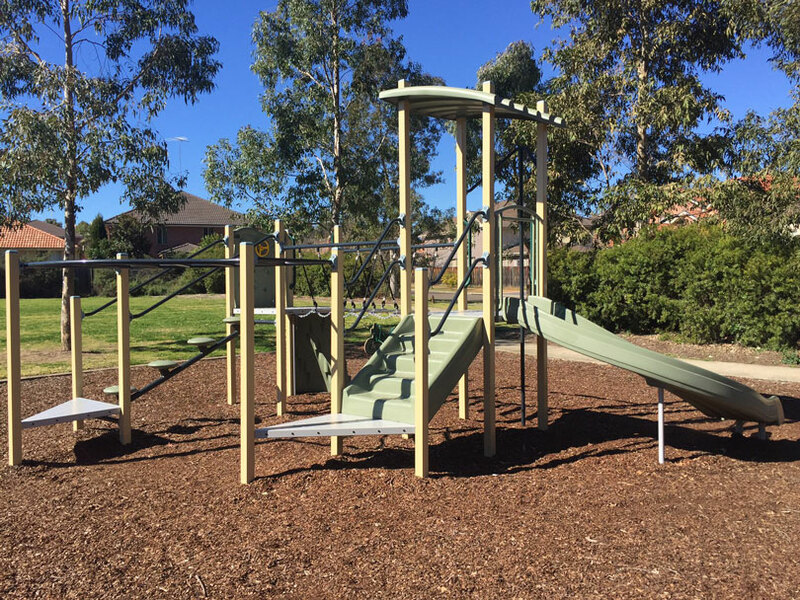 There is also the traditional play structure with slide and swings. Unfortunately it is not shaded and there are no toilets. Bungarribee Park, Holbeche and Doonside roads, Bungarribee. 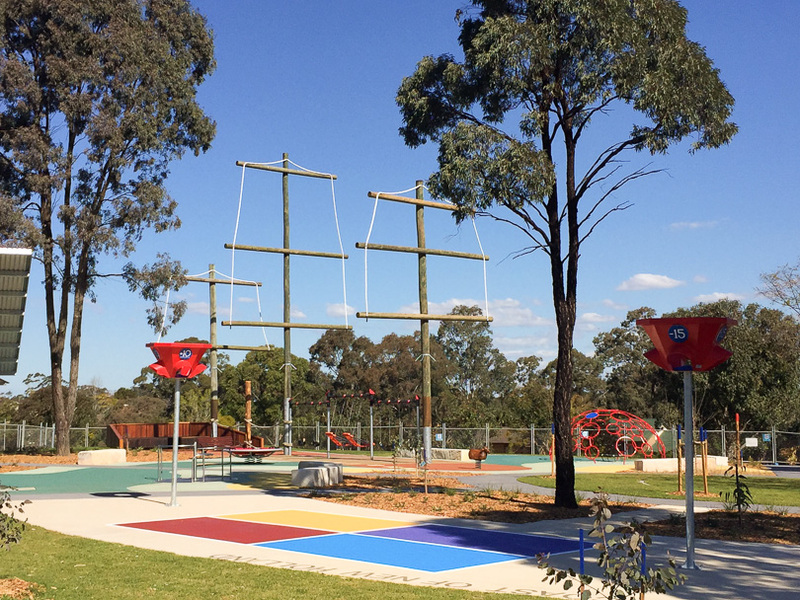 Western Sydney Parklands’ $15 million Bungarribee Park is the largest recreational space in Western Sydney since the construction of Homebush’s Bicentennial Park. 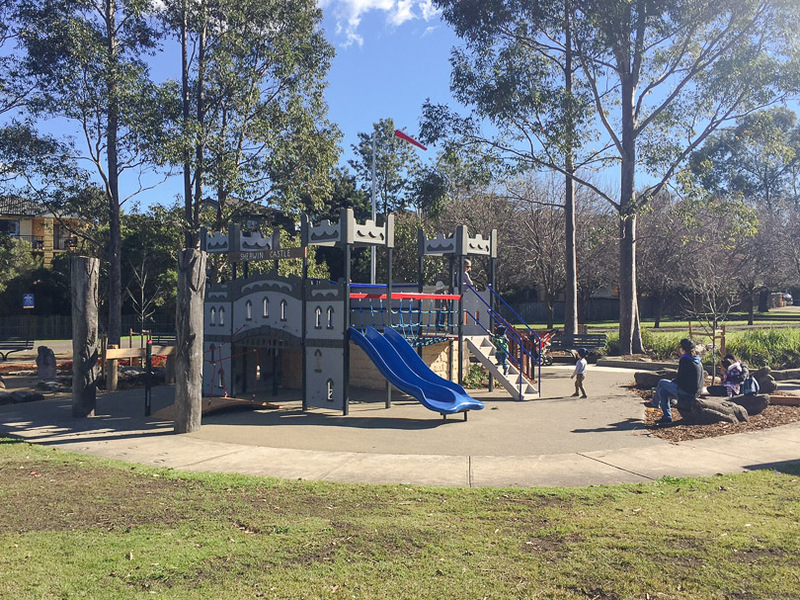 Some of the major construction work has included walking and cycling tracks, 20 barbecues, 13 picnic shelters, a playground with climbing tower, slides, a flying fox, swings and water play, amenities facility, additional car parking, landscaping, re-vegetation, an off-leash dog park and vehicle access from Doonside Road. 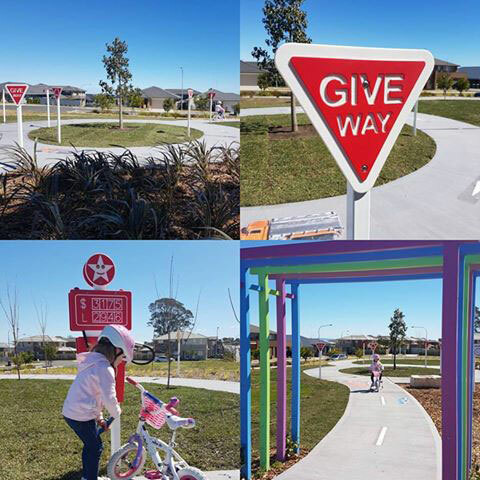 The new 4000 square metre park is bordered by four existing streets – Half Penny Avenue, Water Creek Boulevard, Fresian Avenue and Graydon Way, Kellyville. Work is scheduled to commence in 2018 and includes a children’s playspace, a kick about space, picnic shelter, bench seats and shade trees. 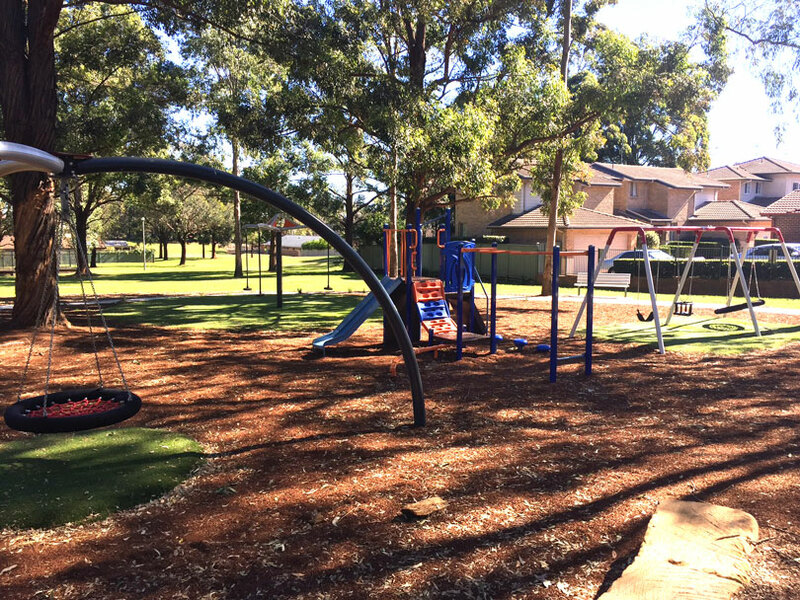 Lansdowne Road Reserve – Kellyville. Work has been completed. 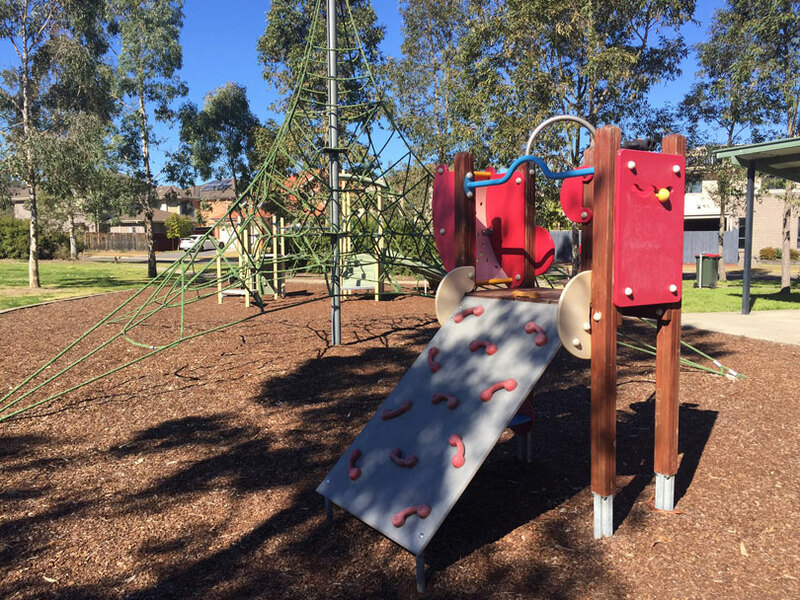 Barry Road Reserve – North Kellyville. Work scheduled to commence in 2017/18. 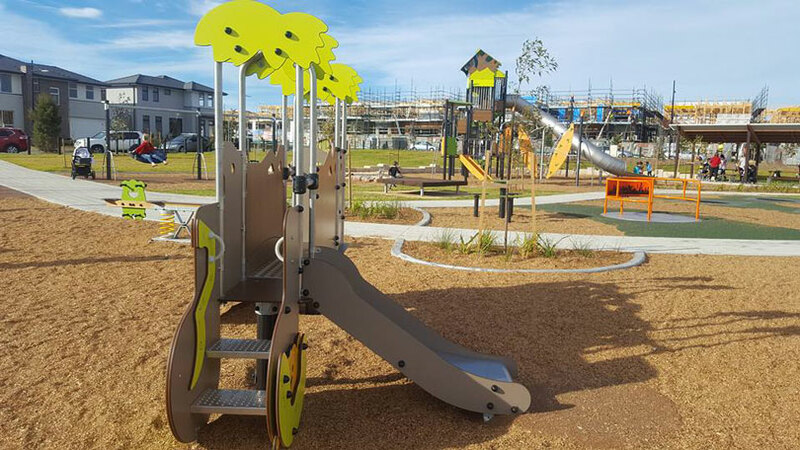 Samantha Riley Drive Reserve – Kellyville (the playground will be attached to the sporting fields). Work scheduled to commence in 2017/18.